Mobile learning is hot. The data on the prevalence of smart mobile devices and consumers’ increasing comfort with using mobile devices is a persuasive argument. Learning and development professionals are looking for the best ways to enable learners to find information in the context that they will actually use that information. But how to create that content is not so clear. Many mobile devices don’t support Flash, so the L&D professional’s usual toolkit is out of the question. As a result, some developers have built custom applications and others rely on sharing videos via YouTube. HTML 5 is the new, trendy tool developers are using to create mobile content that can be supported across devices and operating systems. Unfortunately, there is no clear solution. If you are developing elearning content for mobile devices, there are compelling advantages and drawbacks to using HTML 5 or to creating custom apps – and which you choose for your next project depends both on your requirements and the resources available to you. 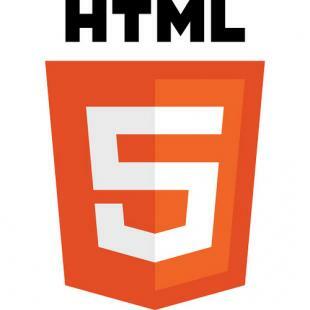 HTML 5 refers to the next version of HTML, superseding XHTML 1.0 and the (somewhat dated) HTML 4. Of interest to web app developers, HTML 5 offers access to multimedia and other subsystems only previously available to plugin designers willing to expend significant effort in cross-platform development. Many of these same APIs work equally well on mobile phones and desktops, making HTML 5 an appealing choice for someone wishing to develop for Android phones or iDevices with the same technologies. If you are interested in selling your HTML 5 content, you will need to rely on customers finding your products through search engines, as App Stores are limited to native applications. If you are creating custom content, this may not be a big hurdle, but it will make your products a little harder to find if your objective is to sell your content widely. You probably use native apps like Words With Friends or Facebook on your mobile device every day. These are custom applications built to Native apps are found in app stores, markets or your mobile platform’s distribution channel of choice. This is how today’s mobile users are accustomed to acquiring their applications for their device, which makes distributing your application straightforward. Native apps are well-integrated. You can access all of a platform’s services by using the platform’s frameworks directly, and the APIs have years of additional testing and support than do the HTML 5 interfaces to the same APIs. Also, there may not be an HTML 5 interface to a given subsystem or piece of functionality. HTML 5 apps are easier to develop. Host them in one of a variety of locations, from the many upcoming HTML app stores to any number of simple hosting accounts. A search for internet service providers in my area will reveal many options for this, or you can host with just about any shared server. Native apps are easy to monetize. Selling apps is a well-tested process with years of proven results by companies who have made lots of money in the mobile landscape. HTML 5, by contrast, is not as proven. Application source code is available to anyone with a few essential skills, and advertising is fairly easy to strip out with browser add-ons and other page modification techniques. There are still differences between the functionality and discoverability of native and HTML 5 apps. These gaps will only close over time, particularly as developer demand for richer browser experiences drives mobile manufacturers to enrich their support for these technologies. In the meantime, current projects exist to bridge this divide, and with a bit of willingness to learn about these alternatives, developers can capitalize on the advantages of HTML 5 while minimizing the cons. The solution you choose for your organization or your customers will depend on their technology infrastructure, the devices they use and the types of content they wish to share with their colleagues.